let me first of all wish your readers a merry Christmas. hope you guys are enjoying the celebration? 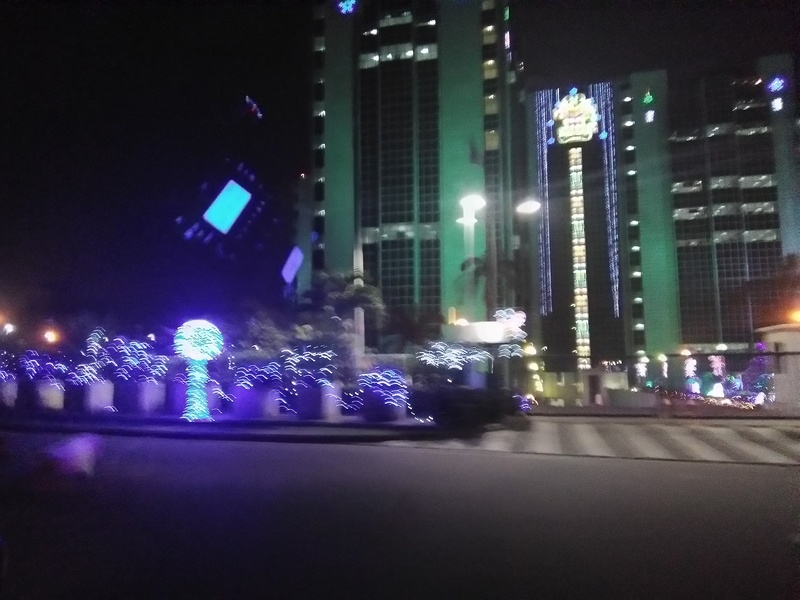 Two days ago i emailed this blog a post i titled A Day Before Christmas, where i share about what it felt like to be in Abuja this Christmas period and also family hangout spot in the city. yesterday was Christmas and for the first time in my life i had a totally different Christmas experience, i have been living in this city for over ten year but i have never celebration Christmas here, even if my family didn’t want to travel because they recently changed our yearly Christmas travel and made it once in every two years, this Christmas will be the third one they will be celebrating here but this is my first. I slept around 3am on the 25th of December after i came back from vigil mass hoping that i wake up in Enugu, precisely in my village, when i woke up in the morning i looked around and discovered i was still in Abuja, i looked at the time and it was 7:30am, i had no choice than to come down from the bed, besides; its not as if i was hoping that one magical object would carry me down to my village over night, but that wouldn’t be a bad idea though. After thanking the almighty God for the gift of life, i brushed my teeth and went to the dinning for breakfast, few minutes after the breakfast i opened my phone to respond to my WhatsApp and Facebook messages, as i was replying to them i got a call from a friend in Port Harcourt who had earlier left the city to spend the Christmas with his family in port harcourt, after speaking with him i decided to give some of my friends and family members a call to find out how they are celebrating the Christmas and where they are celebrating it, but none of them were in the city. i also got calls from some relatives and friends who just wanted to wish me happy Christmas and some who wanted to know why i didn’t come back for Christmas this years. About 10am i went inside the room to take a nap, while my cousin took my brother’s kids out to go get some fuel but the only people you will see selling fuel are the black market fuel sellers. Well, you can imagine me going to bed by 10am after waking up by 7:30am, before i could sleep my phone rang and it was a friend who i was supposed to hangout with that was calling, i picked up the phone to find out that he wasn’t in town, he was calling to inform me that he is in Kano and how the business deal he went for was. I wasn’t surprised he was in Kano because he told me he might be going to kano for a business deal which i was also involved in but he wasn’t certain about the date then. After the call i realized i was alone in Abuja, not totally alone but alone to an extent, since i have no plans of going out again i slept off and woke up around 1:30 pm to see and old family friend who visited us for Christmas with her kid, as i sat down to watch some movies i couldn’t because i didn’t find any of the movies interesting, my brother proposed we go out but i wasn’t in the mood for any outing so he took the kids out while i went to eat, after eating i went back to sleep again and this time i woke up at exactly 6:36pm. When i came out of the sitting room i saw a couple the their three kids in the house, i didn’t know them but i was told they are from our maternal home and the man was also an old school mate of my brother, when they left my brother asked if i would want to go on a ride with him and the kids and i said yes. we left garki 2 around after 7pm and drove through area 11 to central area, we went to maitama, wuse, and from wuse we went back to maitama, and from maitama we went back to wuse then central area and from there we went home through area 10. As we were driving round, it didn’t seem as if there was anything being celebrated in the city, nothing much to show that we are celebrating Christmas, no street decoration, and most of the street lights were of. Could you imagine that apart from CBN the only place i saw good Christmas light was in all Zenith bank building, apart from Zenith bank, no other bank in the city deemed it necessary to have their building adorn with Christmas light. As we were approaching the house, my baby girl ask the funniest question which make me forgot what i was thinking for a long while, she said, ” Daddy why is the moon following us, it has been following us since we lift the house” apparently she has been looking at it since we left the house. well, when i got home i kept asking myself why i feel the way i feel even though my family are here, we have enough to eat and drink and verities of food and drink to choose from, 24 hours water supply and and steady light, but with all the food in the house i was just able to eat twice without any interest in drink. what is so special in celebration Christmas in the village that i cant get the village off my mind, no nobody forced me to be here, it was my choice so why do i feel this ways? if am in the village i will be forced to wake up by 5am with the harmattan cold to attend the village meeting which last for 6 hours, we might probably not have light unless i choose to put the generator on which will never be left on for 24 hours, and sometime we go to a far distance to get water from the stream if there is no more in the tank but with all these stressful things people go through in the village they still prefer to celebrate the Christmas over there in the village. well, maybe am just a typical Igbo man who love the village and village life so much, like a post that i was notified of few hours ago with the title ” Why Igbos Always Travel Home During Christmas Period: Come Rain, Come Shine ” Just remind me next time not to make the mistake of celebrating the Christmas in the city again, for now, let me continue with my lonely and boring Christmas celebration. ← 5 Ideal Place To Hangout and have fun With your kids in Abuja this Christmas. Your Christmas sounds so foreign and differently me! I’ve never heard of black market fuel, and it’s so strange to me that an entire city only had one building with Christmas lights. It’s cool to hear about how different different parts of the world are, thanks for sharing, and Merry Christmas! Very interesting. Love that she watched the moon the whole ride wondering why it was following her. interest account of celebrating Christmas in a corner of the world where I’ve never ventured! Where would you recommend celebrating Christmas? Love seeing all your travels! I love hearing about Christmas around the world/other people’s Christmas celebrations! Thanks for sharing! I find this so interesting! Christmas is always magical no matter where in the world you are. Unfortunately, I can’t keep up with the partying all night and if I tried it that would mean I sleep all day, which I’ve never done. It’s fun to read about your travels. Congrats on your blog too. It’s so interesting how different parts of the world celebrate. I’m glad you were with your family though, as that’s what’s most important! I love hearing about Holidays from around the world!! Wow it’s always so fascinating hearing about holiday traditions from other places! I sounds like you spent a fun Xmas day. Definitely a switch from what I saw with many of my friends on Facebook and Instagram. So glad you got to celebrate in a unique way. Abuja and Lagos are fun places to spend Christmas. There is always so much going on. You can say that of Lagos because of their population and the activities that goes on their but definitely not Abuja. Abuja is always dry during Christmas. Kids always say the cutest things, love how your kid pointed out the Moon was following you all. Sounded like you had a interesting and great Christmas. Definitely completely different from mine. Happy new year! Wow, I hope you have a better Christmas next year. Some times the smallest moments can be the most cherished ones. Your daughter sounds bright and precious. I hope 2018 brings better times. Where I live Christmas is all over the place but seeing your pictures where there is no decor our there is so different. Hope your holiday is better next year. While I’d be interested in knowing about the experience of Christmas in another country, I love being at home with my family for the holidays. It’s something about all of us gathering and doing special traditions that I just can’t let go of. I think this sounds so sad to me. One of the best parts about Christmas is the Christmas lights! Doesn’t sound like a very relaxing trip. Sometimes it’s nice to have a totally different experience to what you’re used to! It makes you look at things in a new light. Sounds like that’s what occurred for you this Christmas!